Generally, thick hairs are most dry hair types with volume. Fine hair’s nature is thin, flat and less volume if it does not have enough thickness. The problem is much more worsening if the hair condition is bad! To keep the natural moisture of the hair and give it extra shiny volume, choose a tool like Hot Roller which perfectly takes care of that fact. Searching a hot roller for a voluminous look in a compact size? This model can be a good choice as your searched result! Travel-friendly instant heat 5 jumbo roller setter heats up so early that styling for voluminous hairs can be easily done anytime, anywhere! 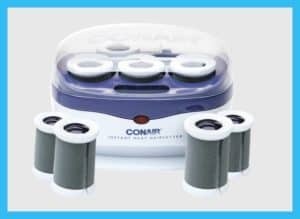 Your flat live less flat thin hair can transform into lively, smooth, shiny voluminous hair by Conair Instant Heat Rollers setter that you cannot imagine! 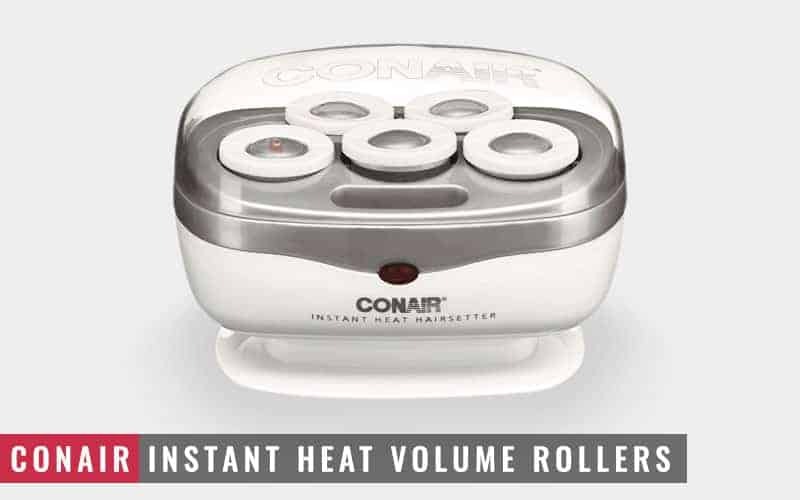 Why Conair Instant Heat Volume Rollers? 2x flocked 5 velvety rollers come with this hair setter. 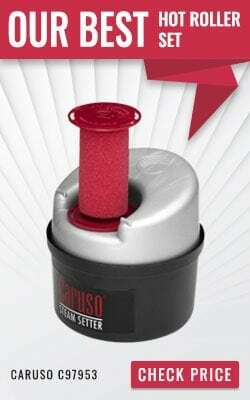 It has modernized Instant Heat Technology that generates even heat all over the rollers without hair damage. The heating technology helps the rollers to get hot within 2 minutes which is really early enough. A user can easily lift the crown area of the hair and get a voluminous look by using 5 jumbo (1.5”) rollers. The hair volume process only takes 10-20 minutes. This hair setter comes with 5 super clips. It’s a very compact size jumbo roller set comes with Dual Voltage facility which makes it a Travel-Friendly voluminous hot roller setter. This hair setter is a modern technology-oriented hot roller set. It is designed with Instant Heat Technology which provides faster even heat without damaging hair. It helps to hold the curls for a longer time. You can get the 2nd-day curls till the hairs are washed. Only 17 cm is its size, that means 6 inches, which are a quite standard size. All flocked jumbo rollers fit in the nice compact white colored box. The weight of the product is only 1.9 pounds. The carrying box is the heating plate of the roller set which is connected with a 6” long electric cord. 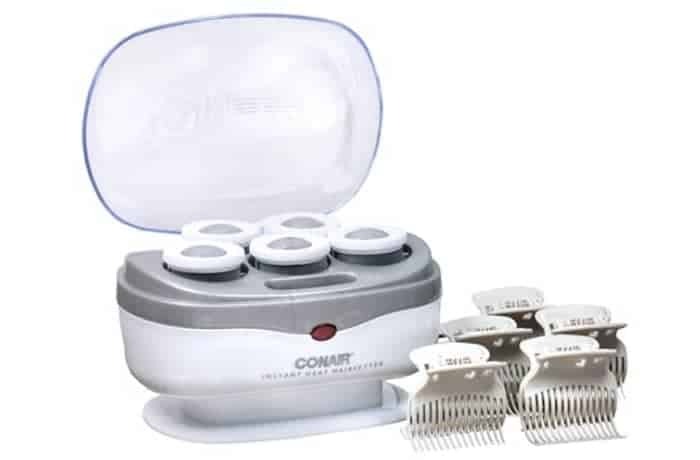 Rollers carrying box is the main heating plate of Conair Instant Heat Rollers hair setter. It has a clear plastic lid. Just place all the rollers into it, cover the lid and just plug in. Only one jumbo roller has an indicator light. When it gets enough hot, the indicator light of the rollers turns red. There is also another front indicator light in the box which just indicates the power on/off situation, but no on/off switch. 2x flocked velvety roller (1.5″) rollers create loose curls to voluminous hair. So for getting the best result, take the section of hair properly as like as the roller size. Flocked rollers are cover with a velvety coating that absorbs the heat properly and grabs the hair nicely. They are good for creating voluminous frizz-free curls for the bouncy look. 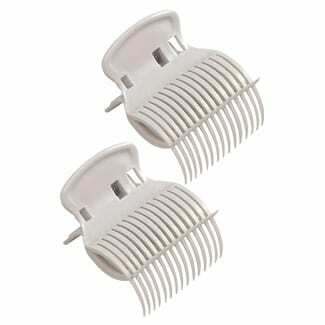 This product comes with 5 super clips which are also known as claw clips or alligator clips. Those super clips prevent creases while styling. They are light, nicely designed and have the capability to grip the rollers smoothly. Rollers sizes are only large. So they create very loose curls to make hairs voluminous. Your hair becomes wavier bouncy smooth volume look than previous flat, thin and dull look. 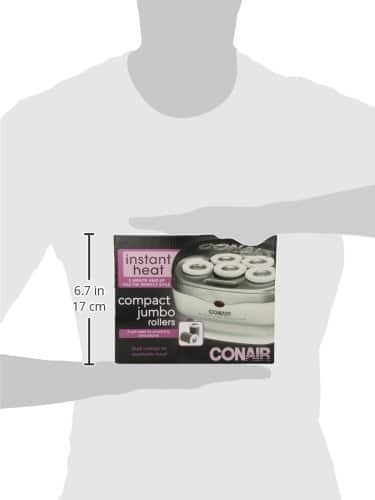 Conair Instant Heat Rollers get hot in only 2 minutes! Wait for 2 minutes that the rollers get hot properly for perfect curls. The whole styling process only takes 10-20 minutes for a wonderful and gorgeous wavy volume look. This product has a US Plug-in system. So for Abroad usages, a user needs to check the electric outlet. If it does not match with this product, use an adopter plug. This model has dual system facility. It supports 110/220 voltages. So you don’t need any voltage converter. If the electric outlet is different than the product one, just use an adopter plug. Thick, fine, thin, wavy whatever your types are, it supports all types of hair. But the length of the hair is a question! If you want volume only on the crown area of the head, then it’s manageable with 5 rollers in long thick hair. Only 5 same size rollers (1.5”). Any other sizes are not available. Because of very thin plastic materials, claw clips can be broken anytime if they are not handling carefully. Specialty 2x Flocked velvety rollers heat up so early with instant heat technology that one can easily get voluminous hair anytime, anywhere! We have represented all the negative aspects of this model. If these points are very significant from your point of view, then you can go for other models which are listed in the Conair buying guide. Product Description: This tool can be your personal hair setter if you are searching a small size hot roller set for getting voluminous curls. During travel time hair styling with flat live less hair is a big issue! Without hair volume, no style of your hair will look pleasant if you have very thin fine hair. This hair setter can be your personal hair setter if you are searching a small size hot roller set for getting voluminous curls. Affordable price, compact size, and volume creating capability make it nice travel-friendly hot roller setter that you can try it once!